Our auto ID products include a diverse line of handheld readers featuring the latest technology for decoding symbols to ensure coded parts are reliably identified, tracked, and traceable throughout operations. From identifying samples in clinical labs to reading tough direct part marks (DPM) on automotive parts, there is an Omron Microscan handheld reader with just the right features to solve any application need. 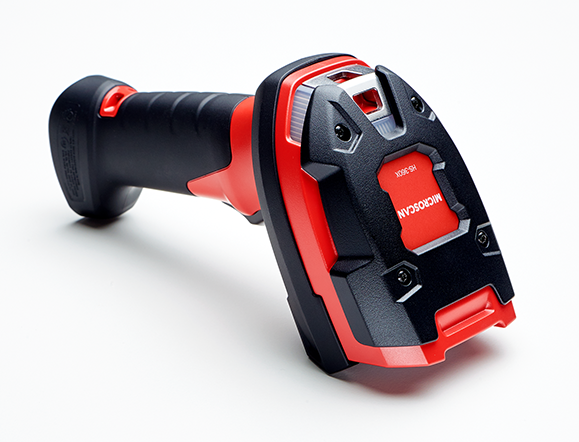 This scanner is as rugged as a mountain bike with its tumble rating of 5,000 3.3 ft./1 m and a sealing to IP67 standard. It rolls with the punches when dropped from a height of up to eight feet and jumps right back into action. Given that it’s waterproof, spray-proof, dust-proof and operator proof, it really isn’t a stretch to say that the HS-360X is, for all intents and purposes, indestructible.